Black Sabbath guitarist Tony Iommi is continuing his cancer treatements following the band’s recent North American tour in support of “13”, which wrapped up September 3rd in Los Angeles. 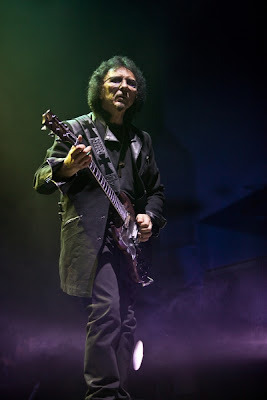 In January of 2012, Iommi shared the news with fans that he had been diagnosed with the early stages of lymphoma, a cancer of the lymphocytes, a type of cell that forms part of the immune system. The diagnosis came after bandmate Ozzy Osbourne pestered him to get a pain in his groin checked out. The guitarist thought it might be a recurrence of a prostate problem, and was stunned when he learned he had cancer. Tony has been receiving regular treatments at the Parkway Hospital in Solihull, England. Black Sabbath’s Latin American tour starts in Santiago, Chile on October 4. Black Sabbath announce video premiere for God Is Dead? Black Sabbath release new single, God Is Dead?